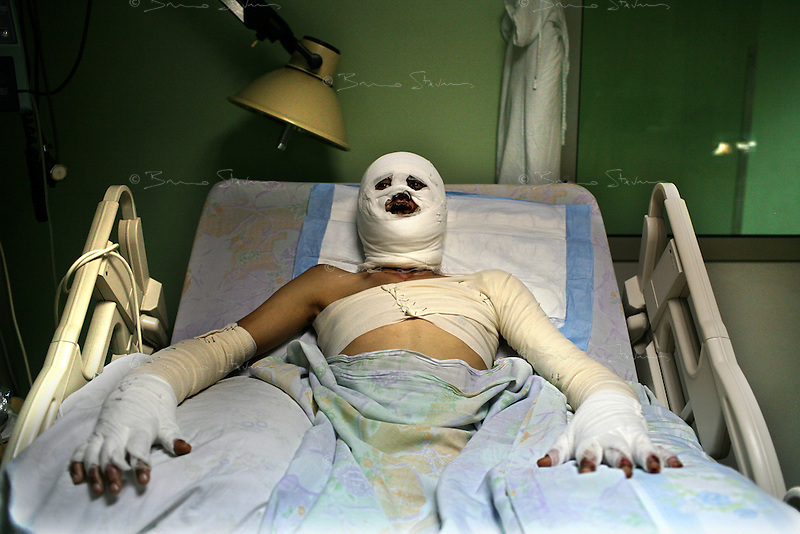 Beirut, Lebanon, Aug 10 2006.Hussein Rida, 18, a accounting student in Bent Jbeil has been very extensively burned all when an Israeli bomb destroyed his family home in Aytashab. Lebanese Hospital (Geitaoui), Department 'des grands brulés' (severe burns cases). This private hospital receives some of the most critical burn victims from the ongoing war, mostly civilians.